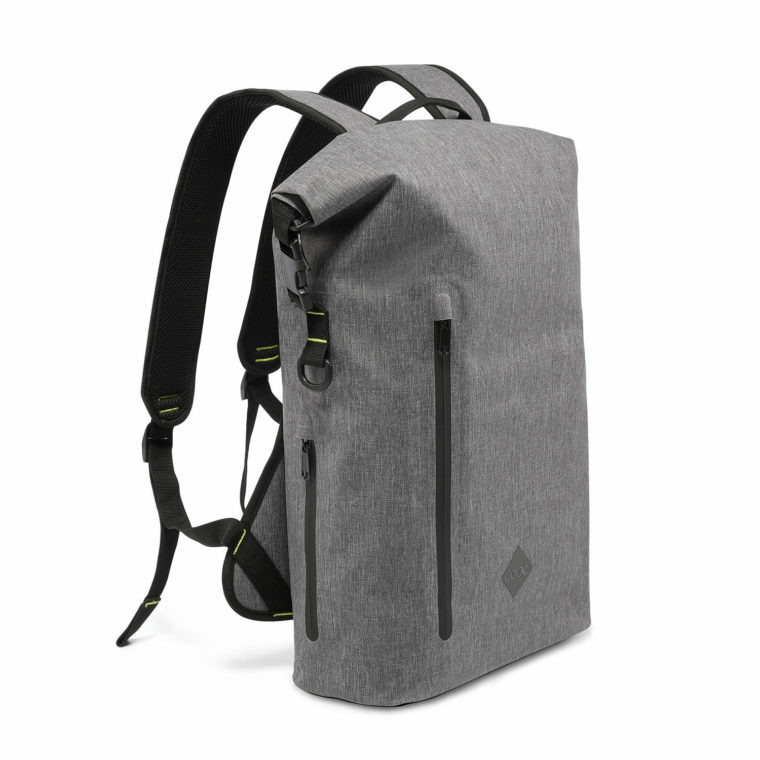 Made from 100% waterproof TPU coated fabric with high-frequency welded seams, the core of the bag is fast and easy to close, and keeps out water and moisture, even in the toughest of conditions. 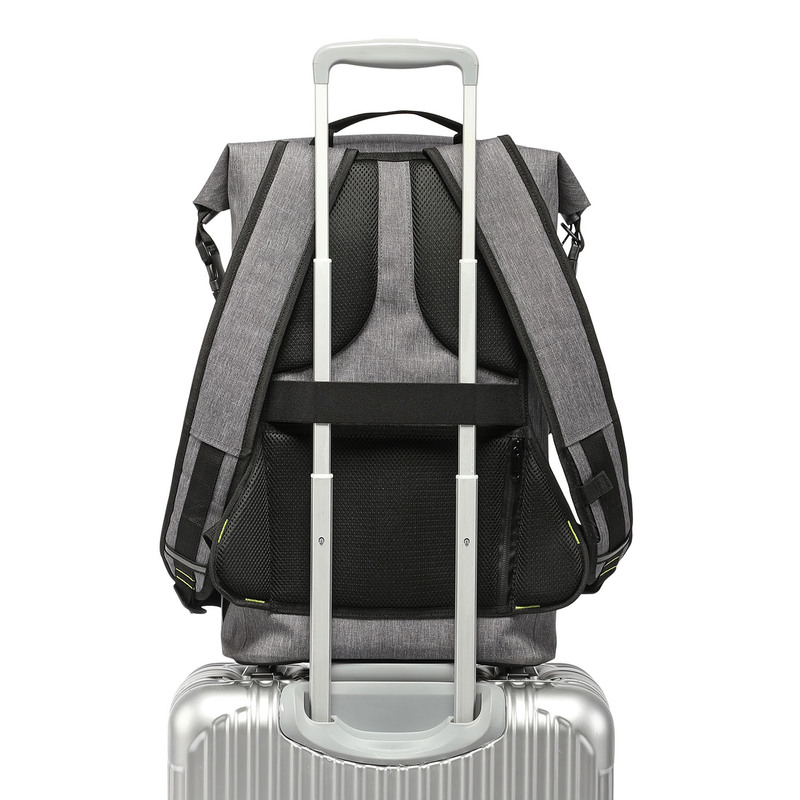 The backpack is designed to deter against pickpockets and opportunistic thieves. The roll down design makes it impossible for thieves to access the zip when you’re wearing the bag. Our unique locking system allows you to secure the main compartment of the bag and lock it to almost any fixed object. 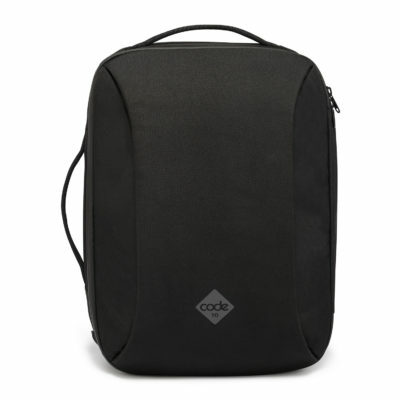 The Code10 Backpack comes with a lightweight tech sleeve that attaches securely inside the bag and can be removed when you aren’t taking your tech with you. 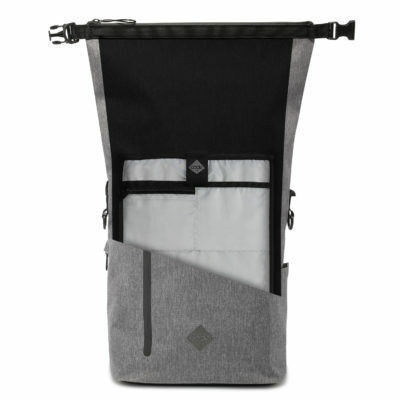 The sleeve fits laptops up to 15″ and has space for a phone, hard drive, powerbanks and cables. 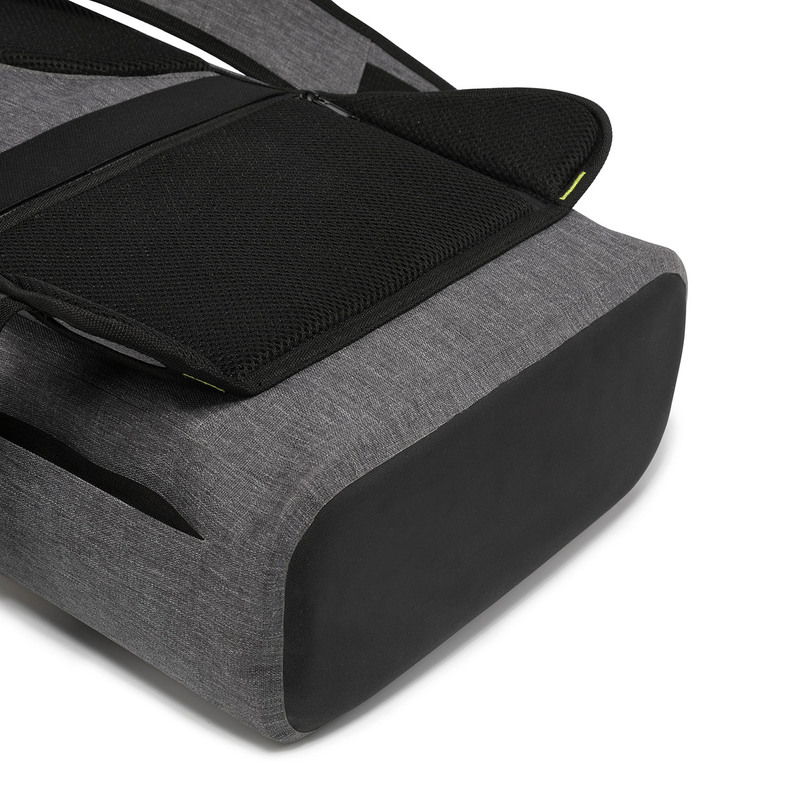 A quick and easy-to-use elastic strap allows you to secure your bag onto your suitcase – perfect for travel and commuting. The shoulder strap card pocket is designed to hold your travel cards, ski passes or any other card that you use frequently. The waterbottle pocket is virtually invisible when not in use and can expand to handle even the biggest bottles. Hide your valuables in a water resistant, secret pocket – ideal for passports, credit cards etc. The material we use for the bag is 100% waterproof and all seams use a high frequency welding technique (rather than traditional stitching) to prevent any water from entering. 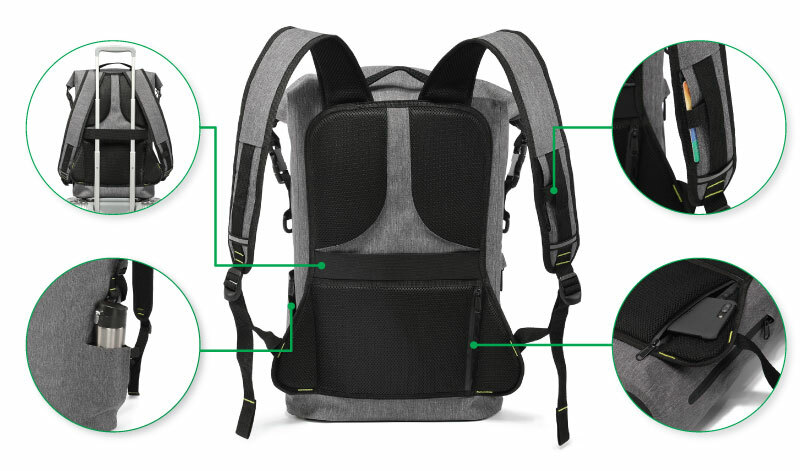 If closed properly, the main compartment of the bag is waterproof up to IPx58 – this means that it can be heavily soaked in water without fear of any moisture getting side. However, we don’t recommend that you use the bag underwater as it is not always possible to ensure that the bag is 100% sealed. How do I lock the backpack? Just got the backpack, it was nice! Worthy! Been using it now for approx. 4 weeks every day & weather. Very comfortable, stylish & lightweight. Overall the best backpack i’ve ever used riding a bike. Great job! It’s little hard outer skin, but it will soften over time i guess. little locks and NFC tag are included, look good and it will also be useful if you have lost backpack. 2. 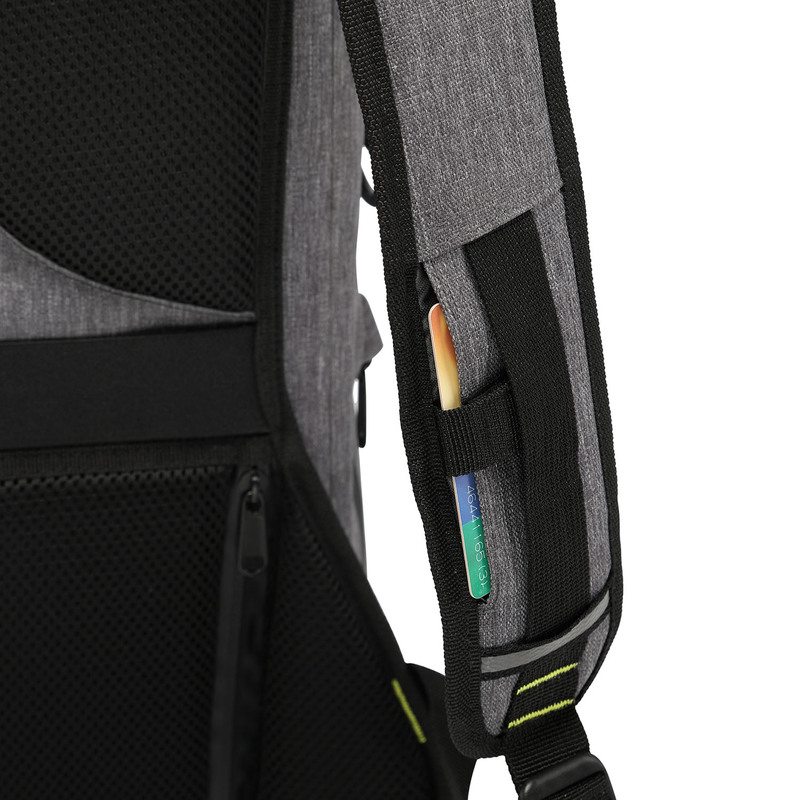 The shoulder straps are not fully tuckable in the back panel when using the smart strap system. 3. *Be extra careful when securing the cable lock that one does not change the combo inadvertently. I accidentally changed the combo while securing it, but luckily it was by only one digit and was able to recover. The best backpack I’ve ever used! Thank you! I got this for the waterproof feature, thinking I’d just use it when I needed to take my laptop somewhere – but now I use it every day. It’s honestly my favorite bag I’ve ever owned. The fact that it’s basically a giant sack means I can put anything from a soccer ball to a ukulele inside it. And each of the little pockets seems perfectly placed and sized for what I need. If anything happens to my bag, I will definitely buy a replacement. 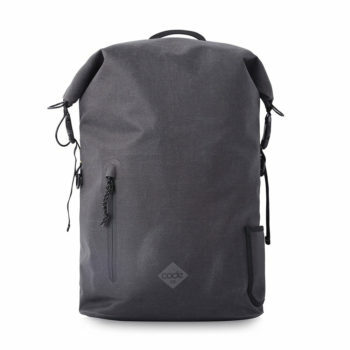 Exactly like details described, this bag has more features easy to use, strong materials but light. Sold with nfc tag for lost&found service. I am so glad to have buy it. After sale service responded very quickly. Thanks. I have biked with it in the rain many times, and the inside is always dry. 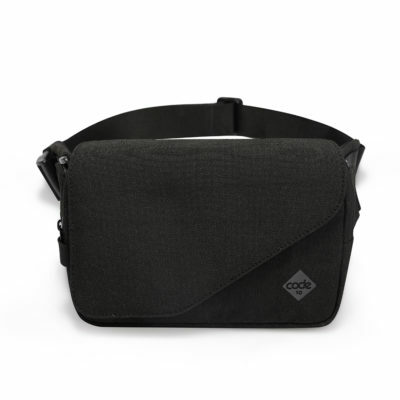 The tech sleeve is great to hold my laptop accessories, and the sack style of the main pocket holds all of my other stuff with ease. The lock system works great, and the cable loops on the zipper part are great for holding a U-lock for bikes. The hidden pocket is awesome for holding my phone/wallet on the go and there are plenty of places to hook a carabinier to for holding a water bottle. 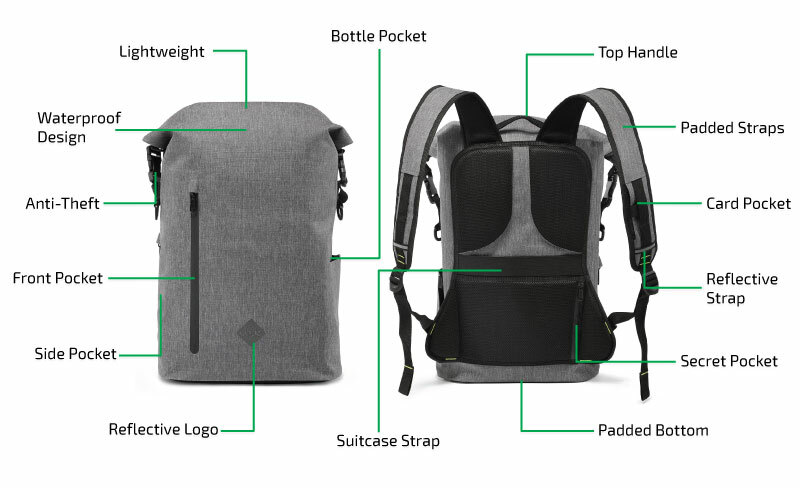 Which is good, because my only complaint about the pack is its tiny water bottle holder, but with a carabiner and you can easily hook it to the outside. 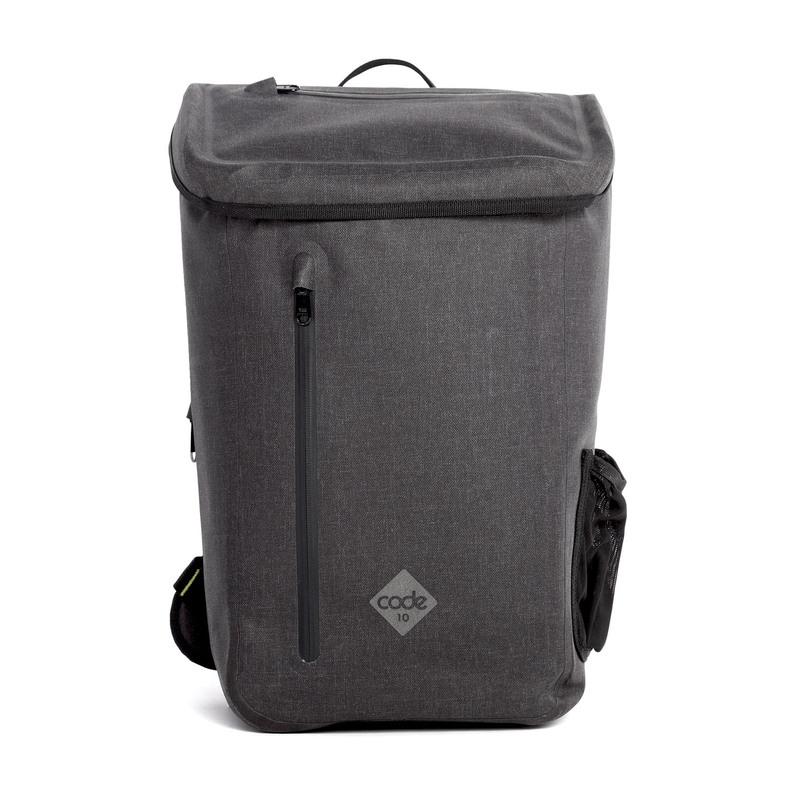 Overall I love this pack, perfect size for daily use, keeps my laptop and textbooks dry, and is extremely durable. 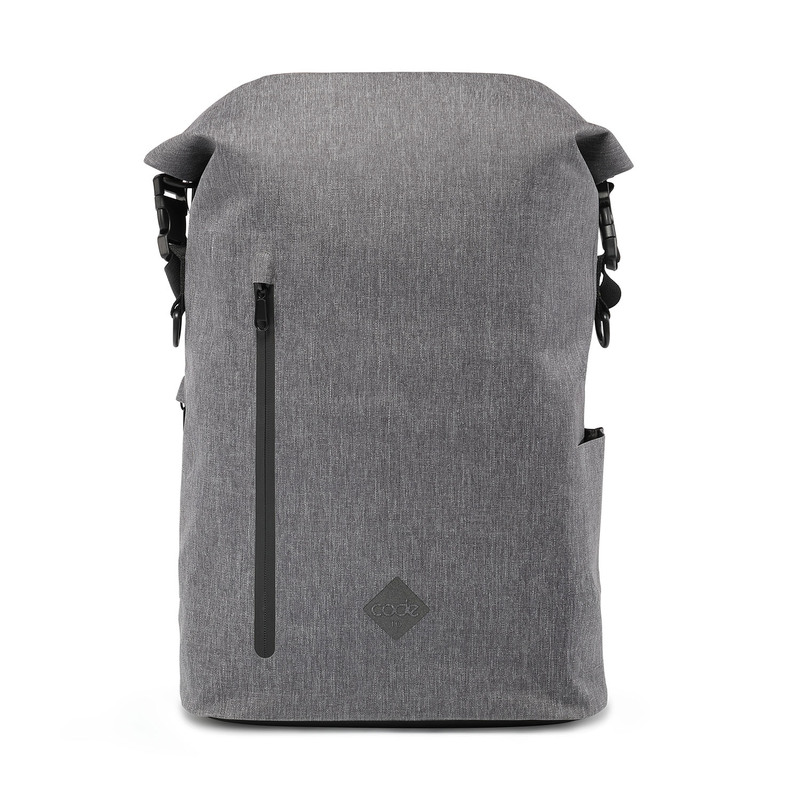 I highly recommend it to anyone looking for a quality backpack for daily use. Hi there. Great comment and thanks so much for sharing your thoughts. The water bottle pocket is really good feedback. 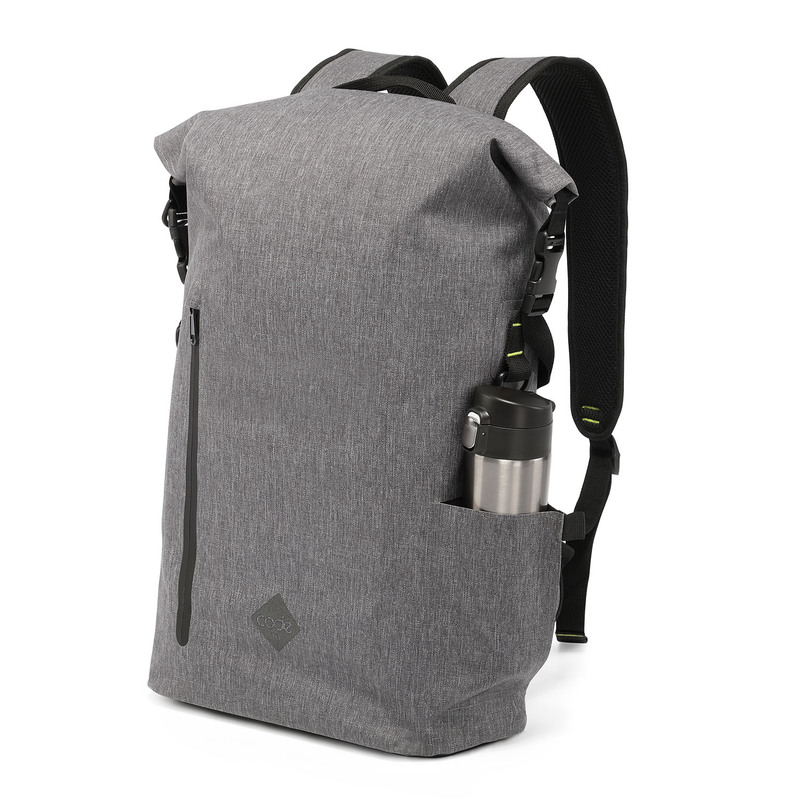 We’ve changed the bottle pocket on our new items and will improve the original design soon. Thanks again. Great bag, I have owned it for a few months now. I love it since I live in countries where it tends to rain quiet a bit. 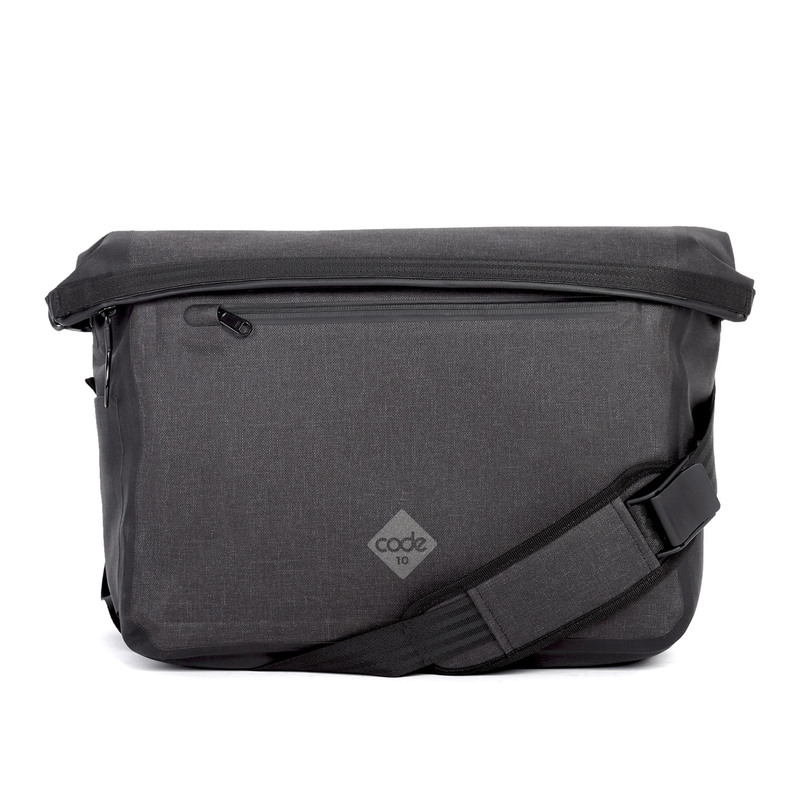 This bag is convinient and casual at the same time, enabling me to take it to work and protect my gear at the same time. 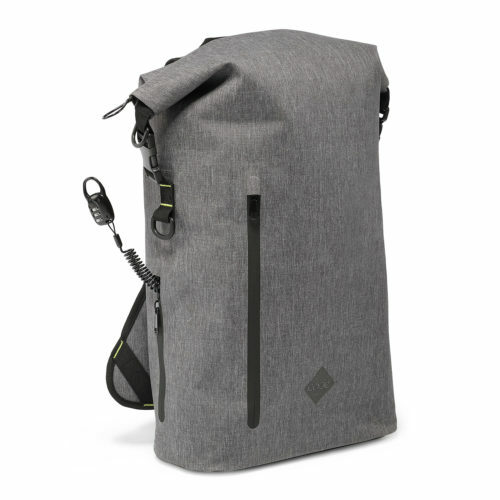 It is also a great travel bag if you do water sports like me.